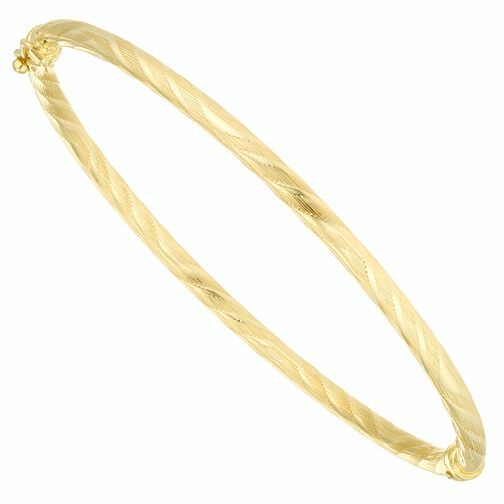 Crafted in classic 9ct yellow gold and featuring an intricate patterned design, this stunning bangle is a charming blend of contemporary trends and vintage glamour. Wear with complementary jewellery for a coordinated finish, or contrast with bright jewellery. 9ct Yellow Gold Patterned Bangle is rated 5.0 out of 5 by 1. Rated 5 out of 5 by Anonymous from This bangle was better than my expectations of it The gold bangle that I bought was better than I expected so much that I bought another one to go with it. I was delighted with both purchases and the delivery was quicker than I expected at such a busy time.